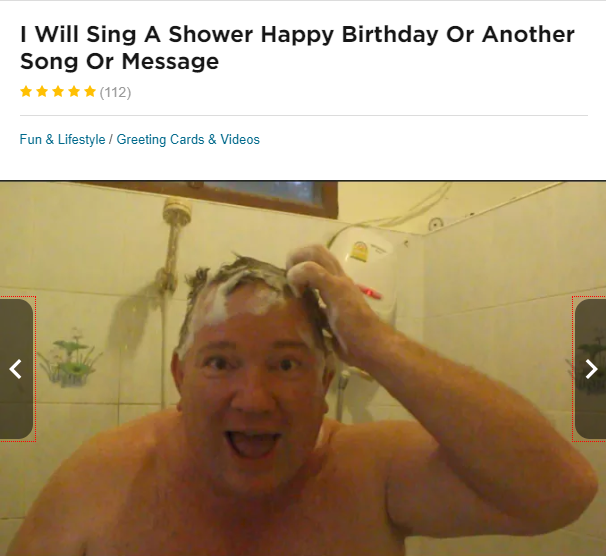 How would you like to make money by singing Happy Birthday? This is no joke. 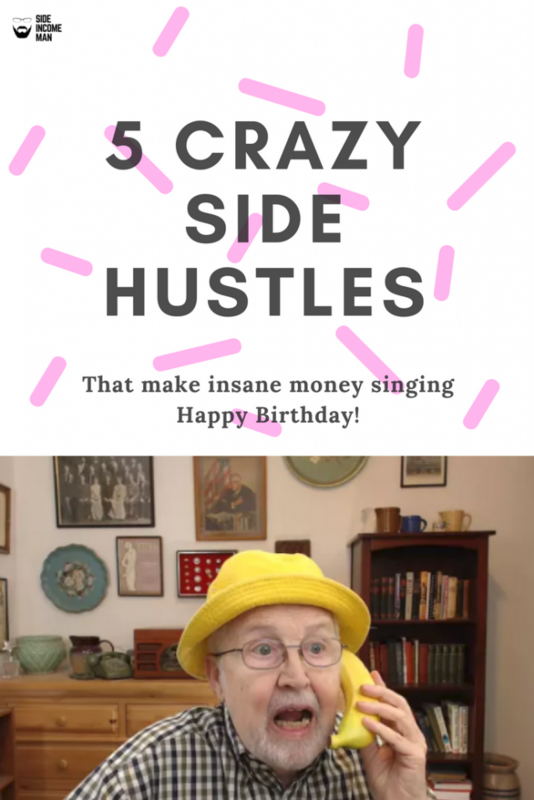 What would you say if I said there are people making serious money just by singing Happy Birthday to people by making a silly video for them? 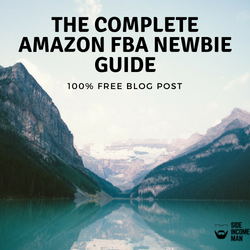 You may or may not fancy this as a side hustle for yourself but what I want this post to do is hopefully give you an idea of more obscure methods to earn money online. With the ever growing places now to host your own services ‘gigs’ like this are becoming more and more popular. For these gigs I have been surfing through the more alternative sections on Fiverr. If you have been living under a rock for the last few years and don’t know what Fiverr is its a website allowing you to provide services for people on just about anything. Or, you can buy too. I do both, well not so much of the selling these days but I used to. Its both a great way to make money and a great source for getting jobs done for you. Whether you want some writing doing, maybe some custom graphics made or maybe you want a new voiceover for a video. Then this is the place. But – not only does it offer professional services it also offers some more bizarre and slightly left field gigs. 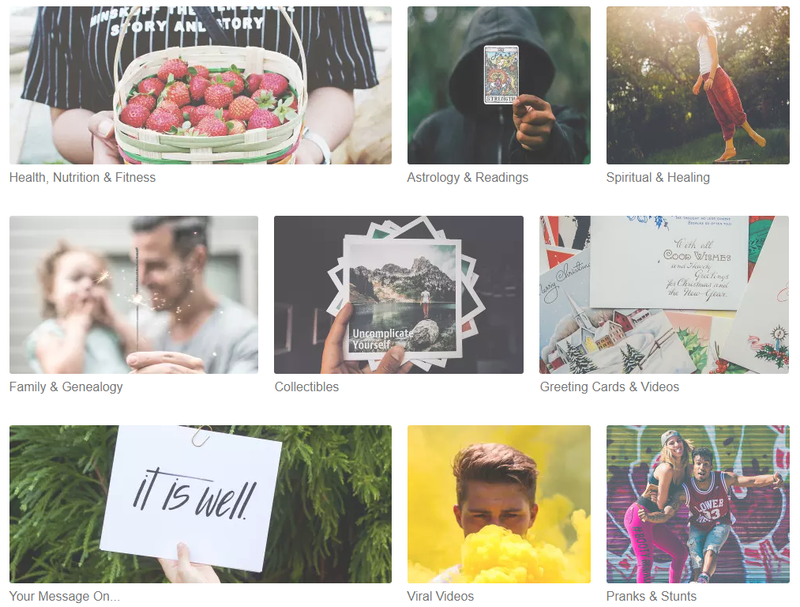 You can get things like Tarot card readings, impressions, prank videos, your message on…. plus loads more. Some VERY bizarre and adult ones too! If you have not got an account with Fiverr then I HIGHLY recommend you get one. It will come in very handy and there are some great sellers offering fantastic services for just $5 (That’s why its called Fiverr). So, How Do You Make Money Singing Happy Birthday? I have outlined 5 gigs here from people on the site making money from singing. They are all doing really well in their chosen categories. They are offering a singing/personal message service to some degree. It is hard to tell their exact earnings but based on their reviews I will take a guess on each one of their total for just that gig. In some cases the earnings that I have predicted could actually be LOWER than what they are really getting because not everyone will leave a review. Most sellers have several gigs up and with a minimum price tag of $5 on each one you can see how they can quickly mount up into a very nice side income. This guy is hilarious. 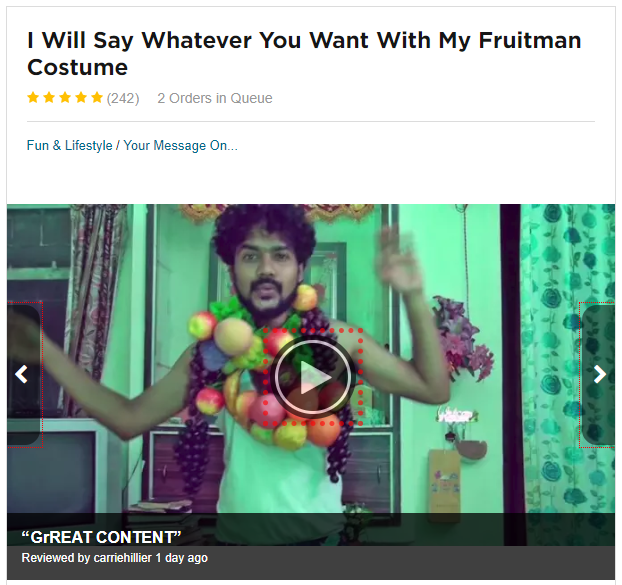 He wears a fruit costume and will say anything you want when he is wearing it. But, a common request seems to be the Happy Birthday song. This one gig of his has over 240 reviews at the time of writing this. It is not his only gig too, he also provides alternative versions in different costumes such as the vegetable suit! I say excellent hustle. It might not be to everyone’s taste buts its a bit of fun and this guy is doing great from it. Top work! Certainly not everyone’s cup of tea but with earnings almost certainly over the $1500 mark this chap’s gig has to be taken seriously (sort of). For a basic gig starting at around $15 he will do a simple shout out, for around $20 he will sing any song you like and for the top premium gig he will sing any song you like and drink a shot of gunpowder moonshine liquor – what ever that is! This guys total review count for all his gigs are over 500 reviews, multiply this by his lowest price gig at $15 and that gives a nice revenue so far of around $6500. Not sure about the gunpowder shots but keep up with the singing! The son of God is on Fiver and he wants to make the perfect gig for you. 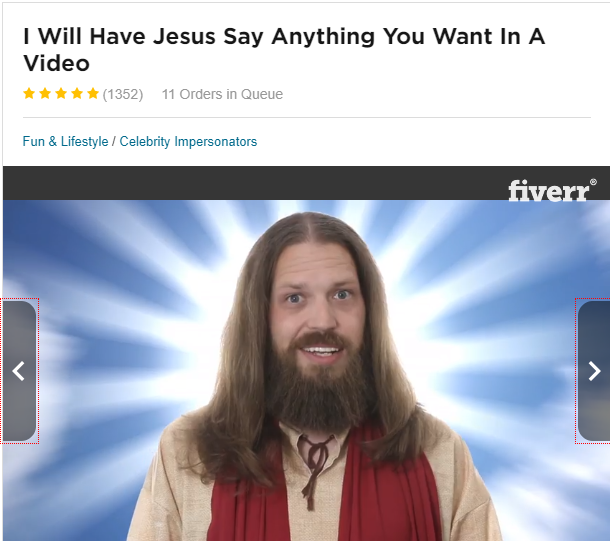 He will say or sing anything with a whole host of backgrounds and special effects starting from $10 and working all the way up to the hundreds of dollars per gig. This guy has been a Fiver sensation and claims to have had over 7000 orders for his Jesus gigs. Even if he was only selling them at $10 you can work out for yourself how well he is doing from his total gig revenue. Although strictly speaking this is not an exclusive Happy Birthday gig he will do it so it makes it onto the list. And because his earnings are pretty amazing from it how could I not include it! I don’t know about you but I find it quite impressive earning over $1000 talking into a banana. (In fact, I think I will make that a tweetable link later on in the post!) 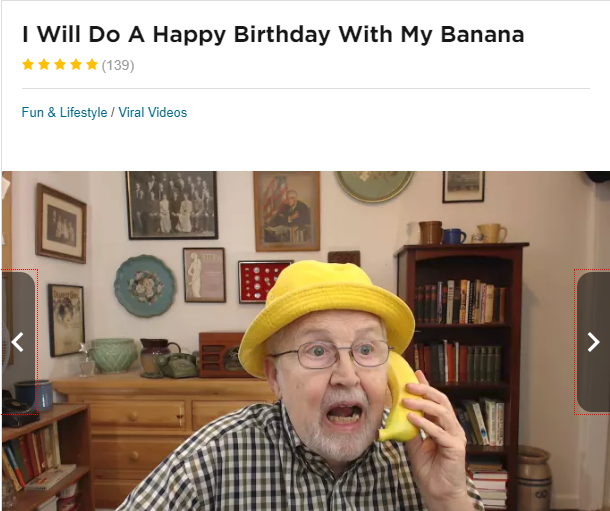 This guy is brilliant, he will sing happy birthday whilst pretending to use a banana as a telephone. Crazy, yet funny. And it would appear I am not the only one who thinks so. He has had over 100 reviews on just this gig and he starts his pricing around $10 so not too bad at all! So, for those of you who think the only way to earn some extra cash is to sell stuff on eBay think again! Arguably my pick of the bunch. Very unique it has to be said. 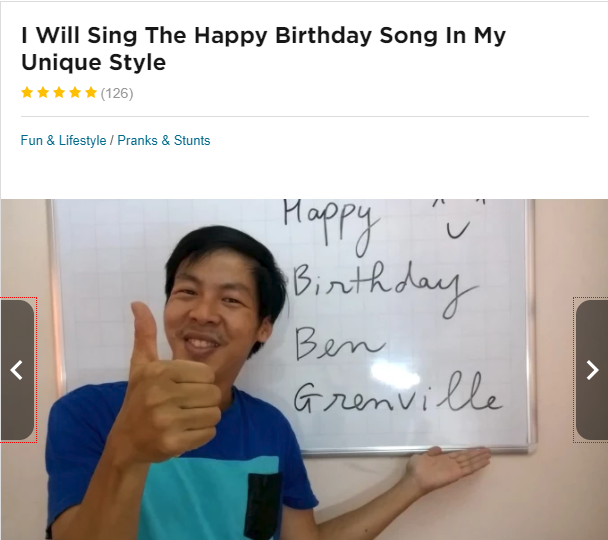 Specialising only in singing Happy Birthday this guy all the way from Vietnam has racked up a healthy 130 reviews at the time of writing this post for his birthday song gig. Nothing else here, just a simple birthday song gig. With his own style of course. Excellent work to you and all the Fiver birthday singers. Now for something a bit more serious. Now I know some people reading this will be saying “That’s ridiculous, you are not going to get me in front of camera doing that!” – and that’s fine. What this post is meant to do is open your eyes up to the endless possibilities out there to earn some extra money. You just have to think a little outside the box. I have massive respect for these guys, they have taken an opportunity (the internet) and created something that people will happily exchange money for. It’s brilliant. I used to run Fiver gigs (not signing happy birthday songs) but more of a marketing gig. And it got loads of sales and done really well for a while. Fiver is a GREAT platform if you have a skill that people will pay you for. The list goes on and on, I have mainly focused on digital tasks here but as you can see from this post Fiver is not just a place for people with digital expertise. Maybe you could become the next Banana singing sensation!? Thanks for stopping by, any comments always appreciated. This is the funniest thing I have read today! Amazing! It is so crazy how many ways you can earn money online now. I love the opportunities there are, for those seeking to bring in some extra money. THis is such a funny read. And who would not want to make some extra cash. Love it. 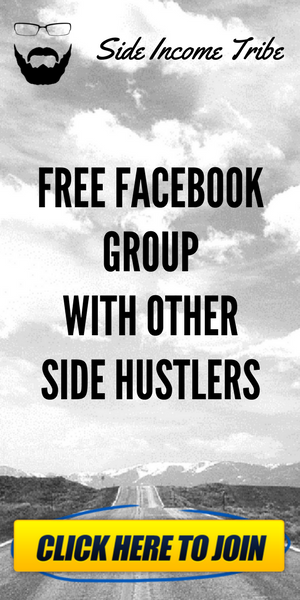 These are the best side gigs ever. I love it and am impressed with how much money they make. What a great post to share. I know people that have accounts on Fiverr and have done well. I can totally believe that the singing shower guy is popular. It would be a great birthday gag. Isn’t it! Just shows with a bit of creativity what you can achieve. There really are no excuses…. I never thought all these could be done to earn some incomes! People are just so creative nowadays! That’s so crazy that you can make that kind of money just doing that kind of funny thing. I suppose anything that gives people joy is a good thing. I will have to check it out. lol, these are great and fun ways of making something old new again. I love the dancing fruit man! I’ve browsed around Fiverr for things like writing and also thought about joining it for stuff like that. However I never thought about doing something like this! It’s crazy how much these people make off of being ridiculous. It makes me want to think of what I could do. I really love the era we are in. If you are confident about your brand you can sell anything and this post just confirmed I need to do some stuff on Fiverr!